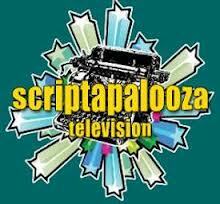 I am happy to announce that my Comedy TV Pilot script Parental Advisory “Swinging On A Star” was a Quarter Finalist in the ScriptapaloozaTV 2013 contest. This is the Third time I have been a Quarter Finalist in this well-regarded international competition. My Comedy Screenplay F.o.G. off to Cali without me. My crime comedy screenplay (working title F.o.G., inspired by the book ICED: The Story of Organized Crime in Canada) has been invited to L.A. (well OK Universal City) to participate in the National Association of Latino Independent Producers (NALIP) Media Market. My producers (lulo films and Lumanity Productions) will meet with various funders, dealmakers, distributors etc. to secure interest and support for the project. My bag is packed if they suddenly need the writer to come down. Getting good response from readers so far – hope to have good new$ soon. 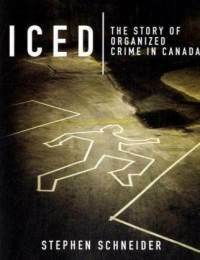 I am excited to be writing this feature screenplay after being hired by Lumanity Productions and LuloFilms Ltd. to write a script inspired by true events as outlined in ICED: The Story of Organized Crime in Canada by noted Canadian crime expert Stephen Schneider. A black comedy in the style of the Coen Brothers, it deals with a plane load of cocaine crashed in rural New Brunswick in the 1980’s, a farmer who hopes to realize his dreams and two dangerous drug dealers on the loose. It will be a high old time. I am pleased to announce that, for the second time, I am a Quarter Finalist in ScriptapaloozaTV’s screenwriting competition. This international competition had over 850 entries this year. 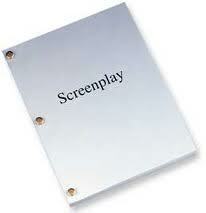 My script this time is a spec. for one of TV’s best and hottest comedies, Modern Family. My script is entitled “The Way of Jay” and involves among other things: Mexican masked wrestling; traditional Scottish dress; manicures; and sock monkeys. Trust me, it all comes together.